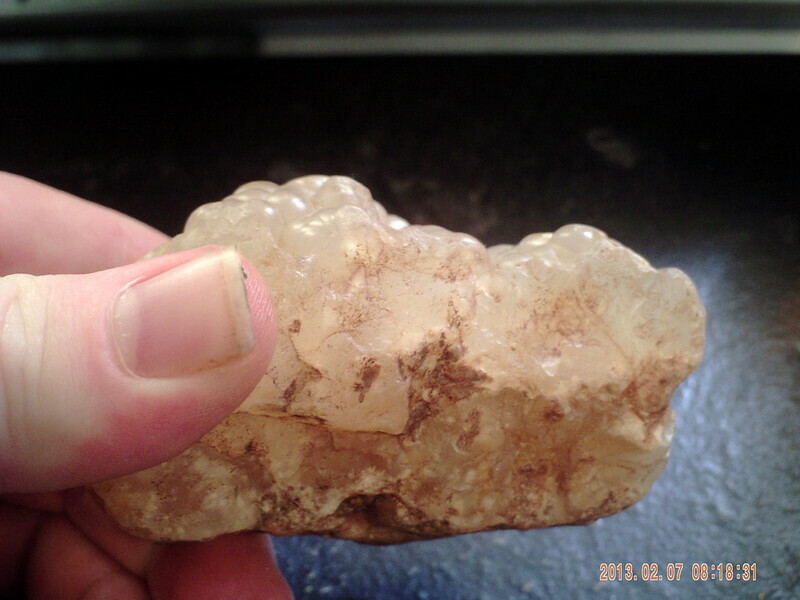 The best I can describe it is some kind of quartz-like material with a bubbled surface. Could be quartz, opal (hyalite), calcite, or some other minerals. Can you describe the environment and locality where this was found? Also are you able to test hardness? Use a Moh's hardness test. 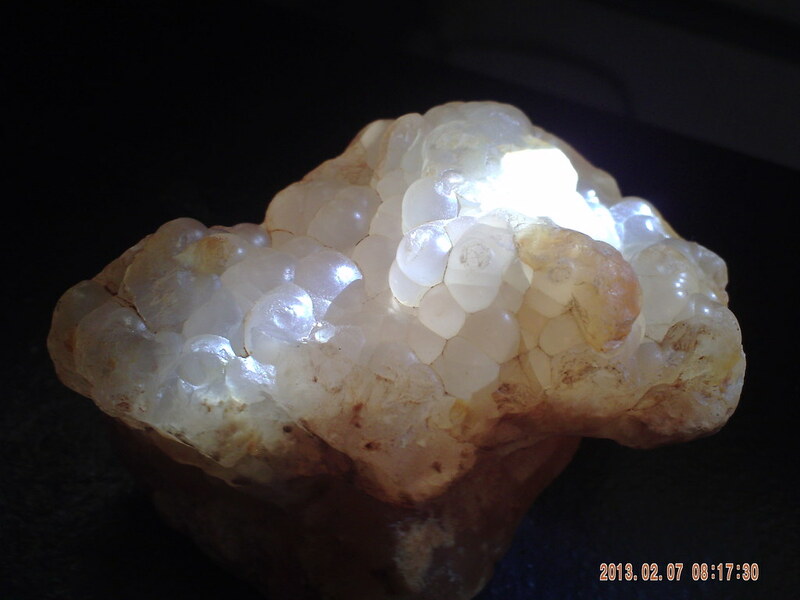 Quartz is very easy to get your hands on (since its so common in nature) and it is a 7 on the Moh's hardness scale. If your stone can both scratch and be scratched by the quartz, then your mineral has a hardness of 7. Take a look at this page where it explains how to do a hardness test: http://www.minerals.net/resource/property/Hardness.aspx You may need to purchase a hardness testing kit online to do this, or bring it into a show where an expert can help you. Calcite or chalcedony I would say.